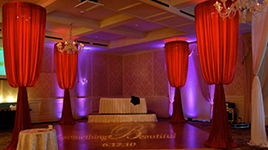 Wedding drapings and appropriate lighting create a luxurious atmosphere. 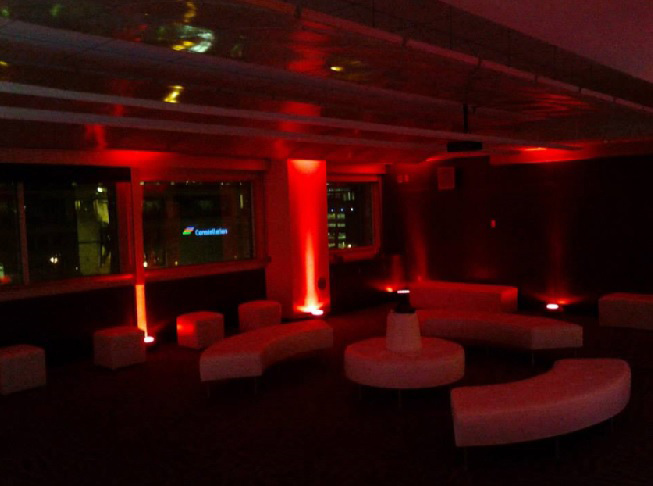 We can transform any venue into the perfect location for your event using lights in varied colors and forms, drapes in different colors and textures and event furniture in different styles. 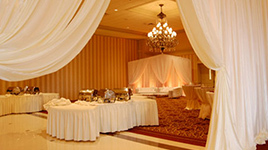 Wall drapes can be customized according to the event theme. 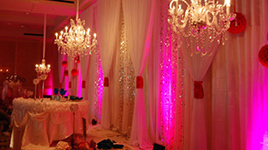 Lights, sparkling curtains, contrastive accents and hanging chandeliers personalize the draped walls for added glamour. 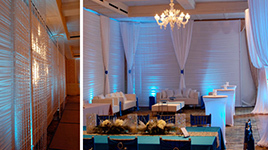 Combine different types of lighting to set the mood in your venue. 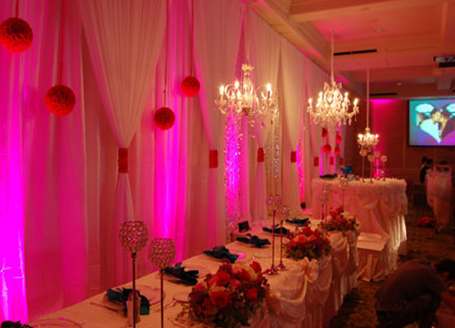 Chandeliers offer a subtle and romantic light, while colored lights add vitality to the overall decor. 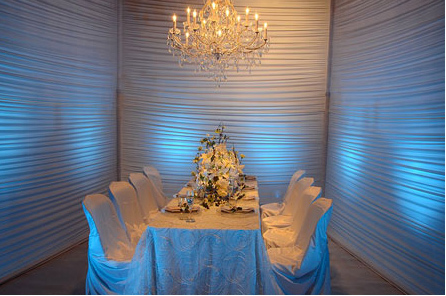 Play with textures to create a rich and lavish decors. 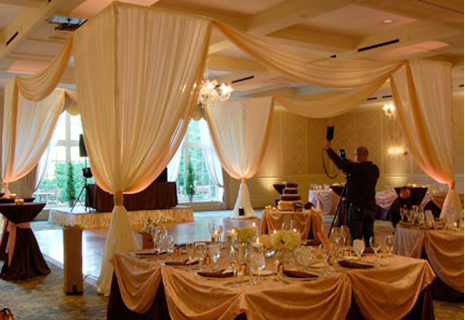 The airy, flowing drapes are contrasted by the heavy textured linens, while the bead curtains and crystal-adorned chandeliers add a touch of sparkle to the venue. 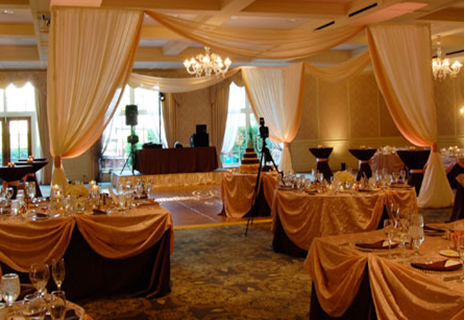 Lighted wall drapes on the entry, elegant chandeliers hanging from the ceiling, rich linen with textured details and gold chiavari chairs combined for a lavish decor. 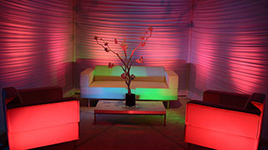 We create different uses for the same space by using different types of furniture. 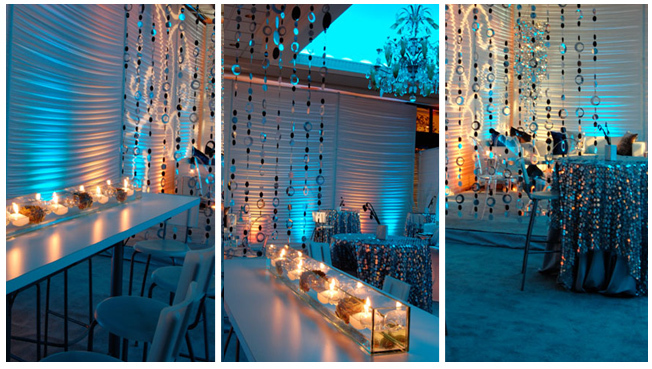 Textured lights set the mood and complement the event theme. 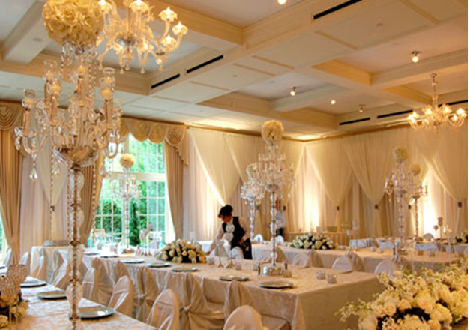 Stunning all-white wedding decor created with white draping, white table and chair linens and elegant chandeliers. 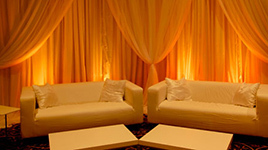 Create a lounge area for your wedding guests to unwind! 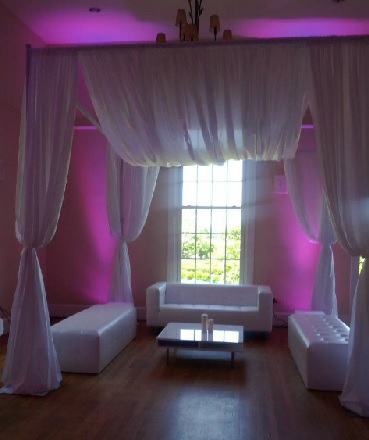 Wall and ceiling drapes separate the space and the luxurious lounge furniture create a comfortable sitting area. 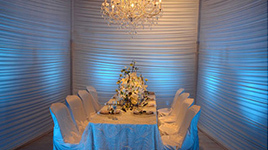 Use different textures and colors to create different areas at your location. 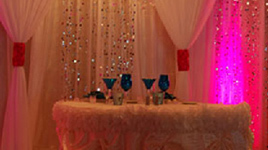 The silver sparkles from the dining area are contrasted by the white drapes and furniture in lounge area. 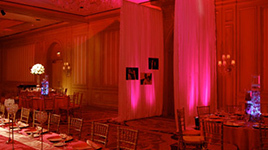 Set the mood with pipe draping and lighting. 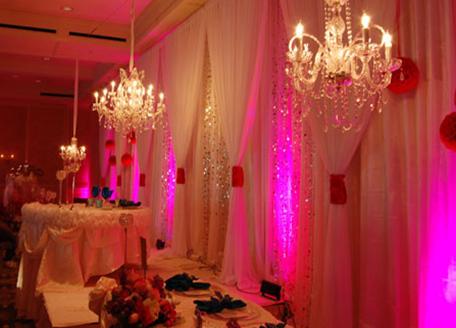 The lighted patterns look great on wall draping, while drapes' color can be changed with built-in lights. 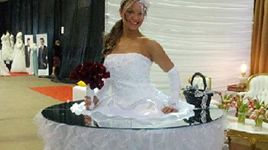 Place the newly weds table on a raised platform so that everyone can admire you and you can see all your guests. 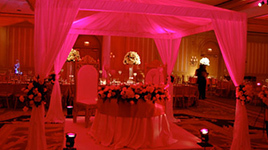 Personalize the space with drapes, flowers and royal chairs for added luxury. 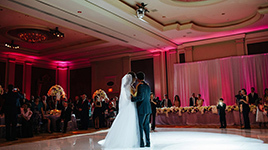 The raised stage adds visibility, while the drapes and high tufted chairs help create a degree of intimacy of the newly weds. 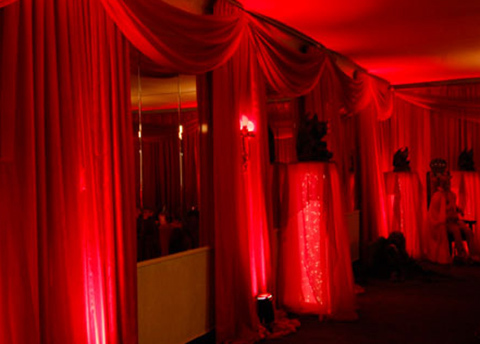 Create a magical entrance with white drapes lighted in different colors. 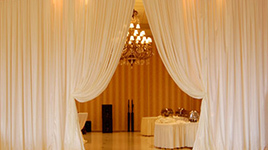 Add pictures of you and your partner on the drapes for a personal touch. 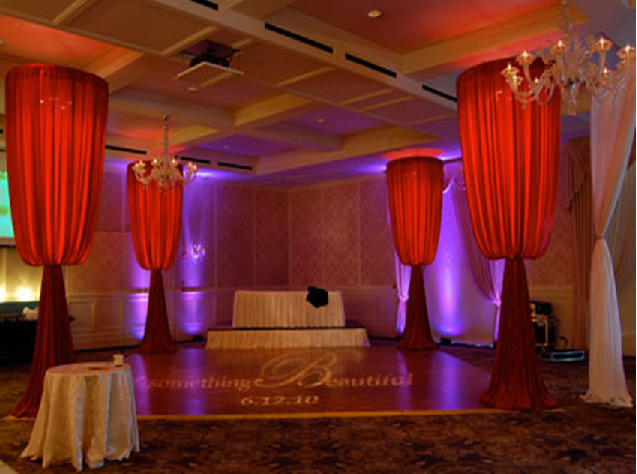 Accentuate different areas of the venue with colored drapes. 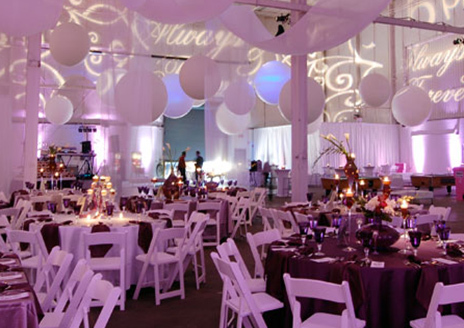 Hanged from the ceiling and accessorized with colored lights, they change the venue dramatically. 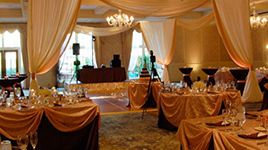 Personalize the dance floor with our portable dance floors and frame it with drapes to separate it from the dining area. 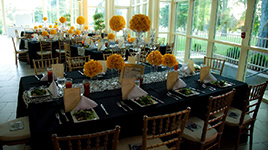 Two-color linen on event tables create a luxurious look. 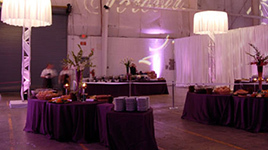 Choose complementary colors for an elegant look and spice up the decor with high cocktail tables in solid colors. 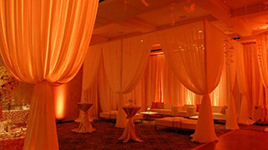 Divide the space using pipe draping and light them in different colors to achieve an intimate atmosphere. 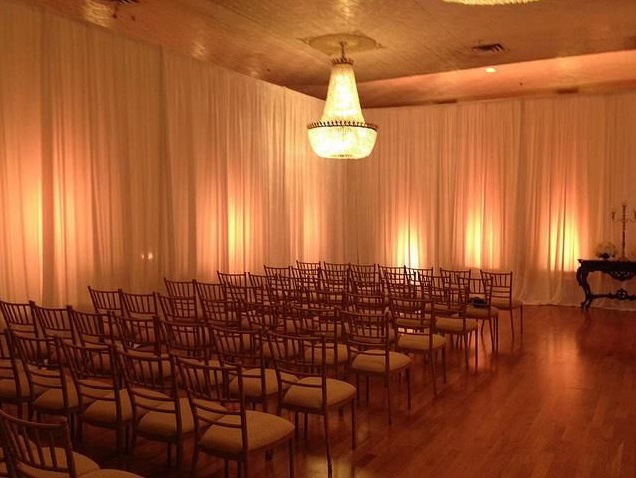 Solid color linen complete the decor and add extra elegance to the venue. 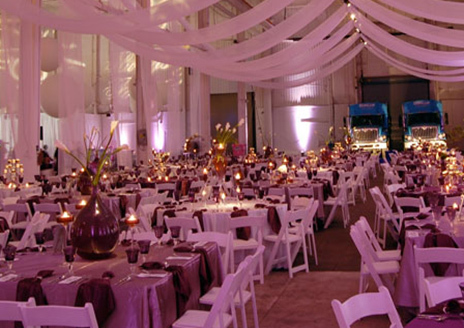 Large events require clean and elegant decors! 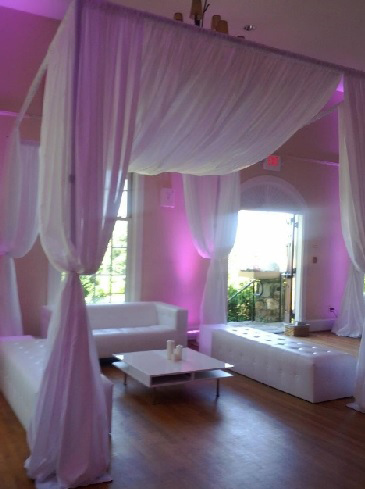 The two tone table linen create a chic contrast, while the white chairs and the white ceiling drapes give an airy feel to the location. 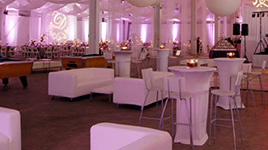 A lounge area away from the loud music and the dance floor with white lounge benches, low tables and high cocktail tables with bar-style chair. 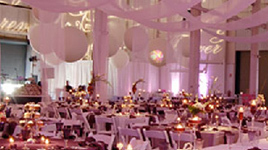 Stunning wedding decor with white chairs, while ceiling drapes, white ball-like chandeliers and contrastive purple linen. 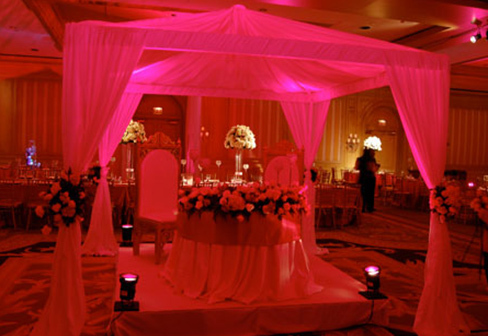 Bi-color wedding decor is simple and stylish. 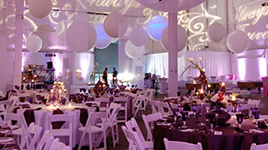 White is a bridal color by definition, while purple adds vitality to the overall look, while keeping it classy. 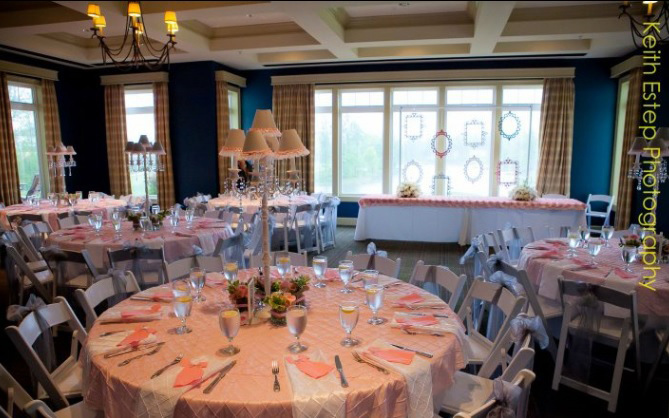 Alternate linen colors, table sizes and table shapes to create a chic decor and maximize the space you have! 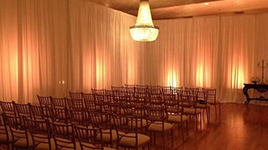 Chiavari chairs create a simple, yet so elegant design, the pipe draping separates the spaces and the carefully placed lights complete the formal, yet warm atmosphere. 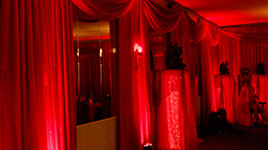 Spectacular event decor created with pipe draping hanged from the ceiling and red lights positioned in key areas of the room. 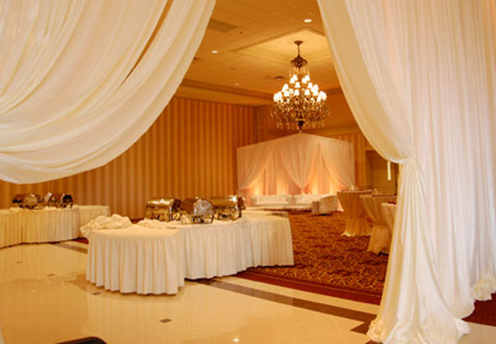 Drape walls are elegant and versatile. 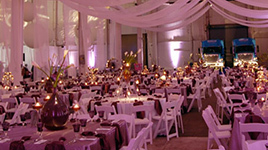 Use them to mask details of the venue that do not match your theme or to separate different areas in the same venue. 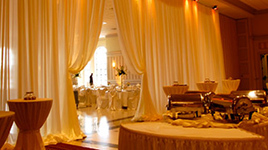 Spectacular and elegant at the same time, the drape wall separates the reception venue from the snack area. 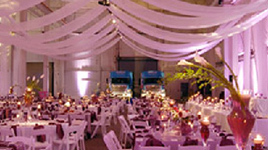 Pipe draping is versatile and can be used for venue entrances as well as for dividing areas in the same room. 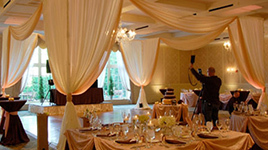 Match the linen with the drapes for a lavish decor. 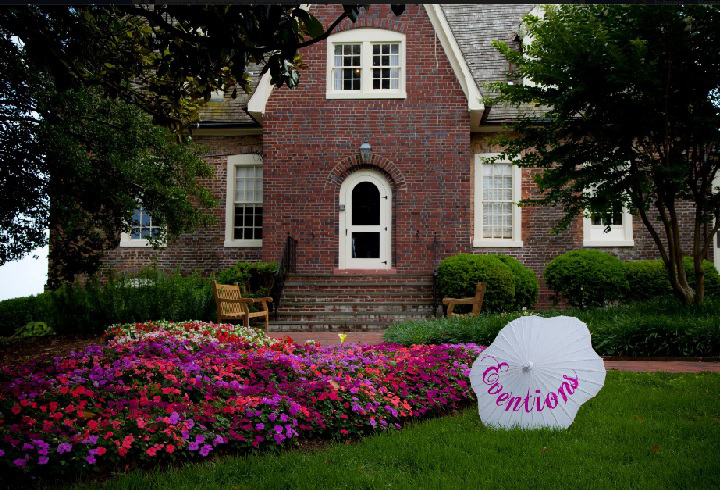 Introduce guests to your magic world right from the entrance. 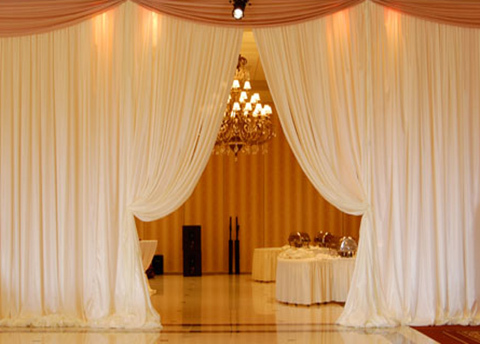 The drape tunnel is minimally lighted and accessorized with gold tassels for added glam. 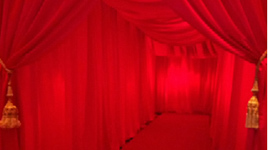 Direct your guests straight to the venue with a draped tunnel! 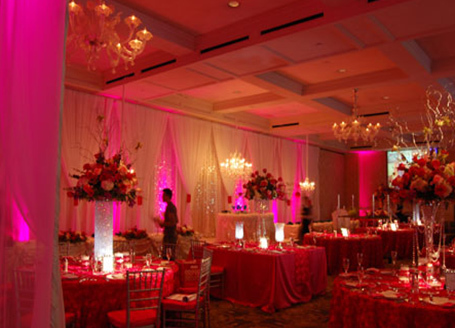 Choose dim light and color matching the theme of your event. 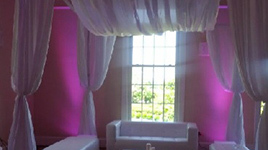 We have numerous colors and textures you can choose from. 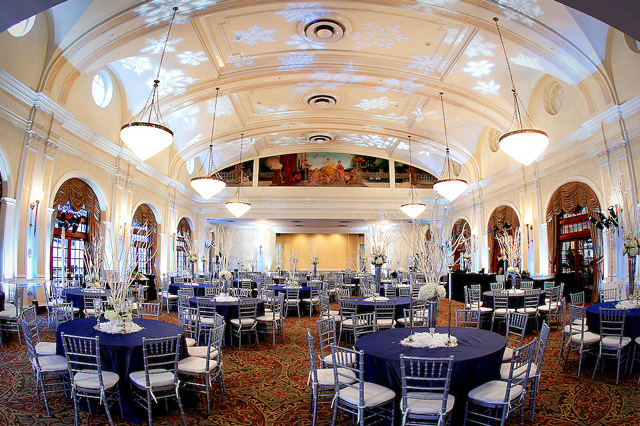 Winter wedding decor achieved with silver chiavary chairs, dark blue table linens and minimal white floral design set in the center of the table. 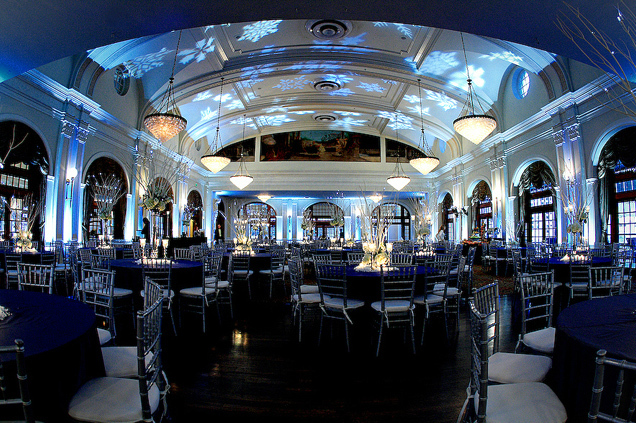 The snowflake light patterns projected on the ceiling complete the wintery feel. 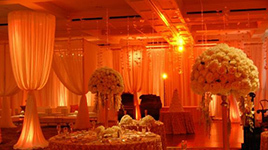 The light plays an important part in setting the mood in a venue. 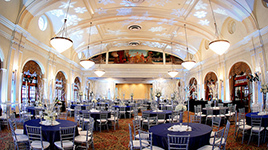 The snowflake patterned lights on the ceiling are complemented by the lighted columns on the side walls, the discreet top chandeliers and the warm candle-lights on the table. 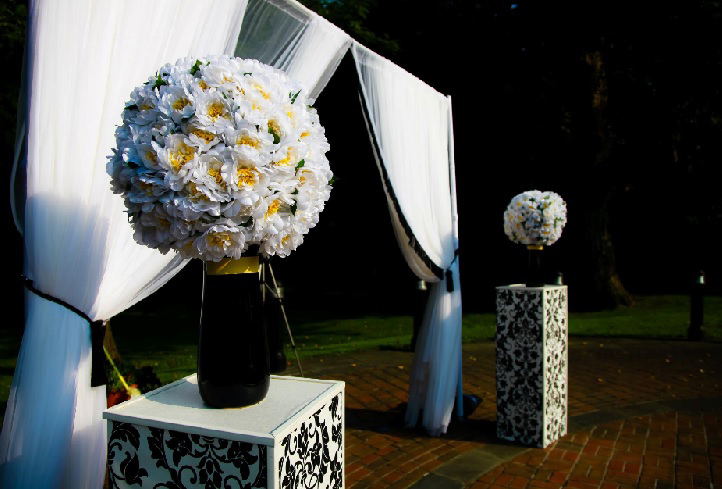 A mixture of textures adds character to a monochrome event decor. 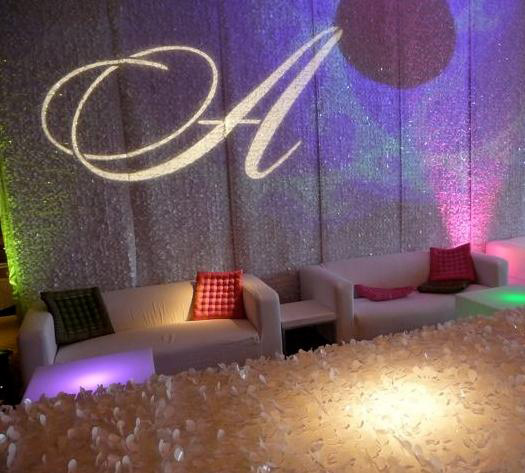 Textured lights with custom logos set the mood and personalize the space even further. 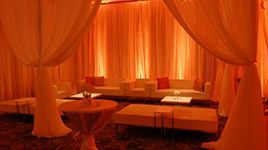 Create a comfortable lounge area for your guests using lounge groupings and wall ceilings which separate the lounge from the dancing/dining area. 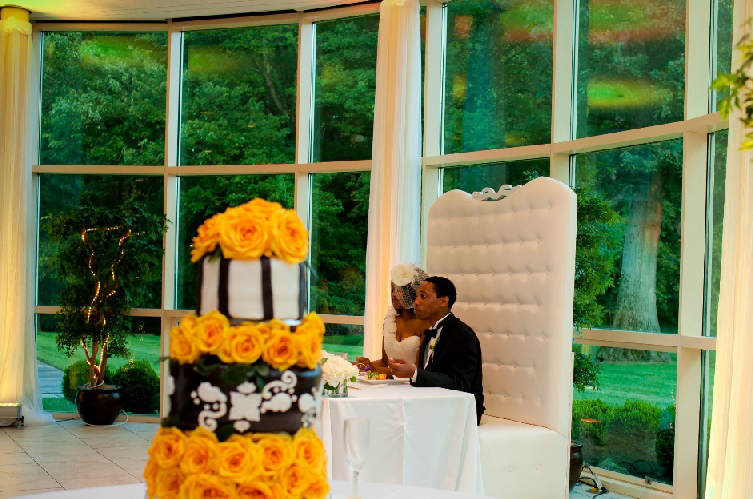 Loveseats will save you space and get all your guests together! 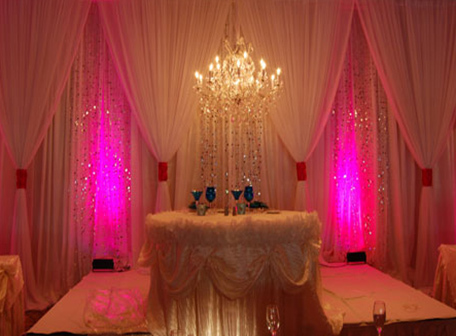 Traditional decor with a modern twist. 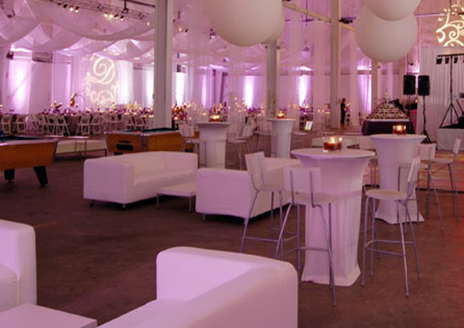 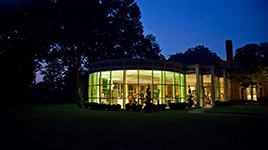 An all-white venue can be changed with built-in colored lights. 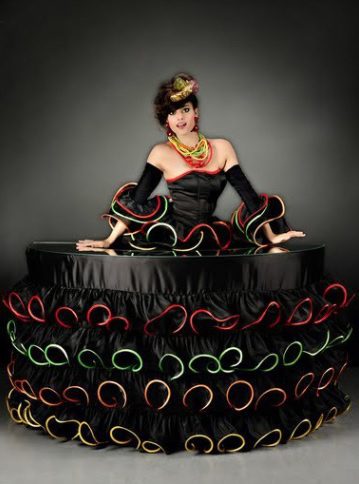 It is also available in red, green and purple. 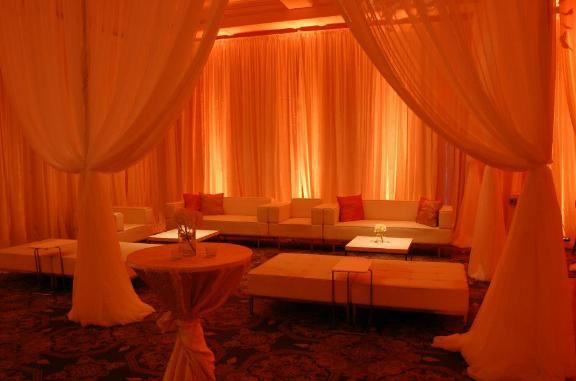 Create a separate lounge area with spandex drapes and white benches. 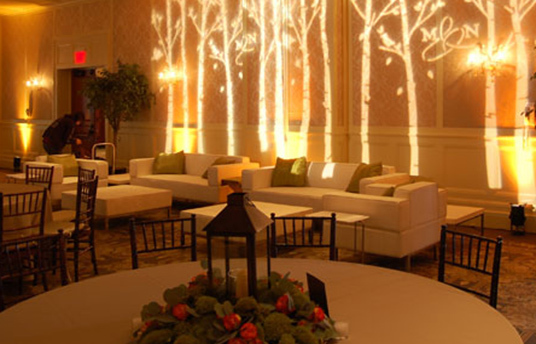 The customized gobo lights add further personality to your space. 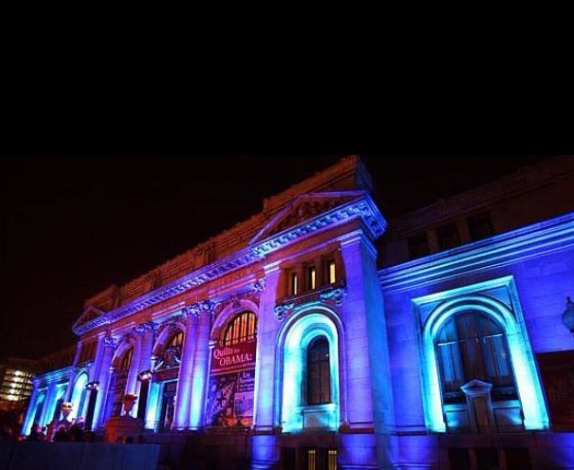 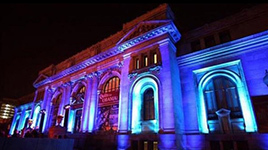 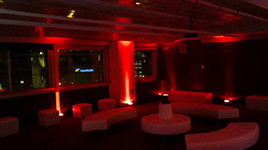 Change the aspect of the venue simply by changing the lighting color! 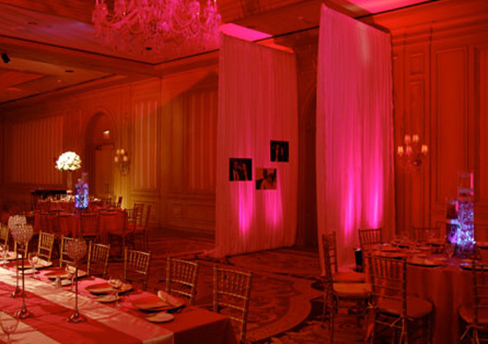 We provide a variety of colored lights so that your event looks exactly the way you envisioned it! 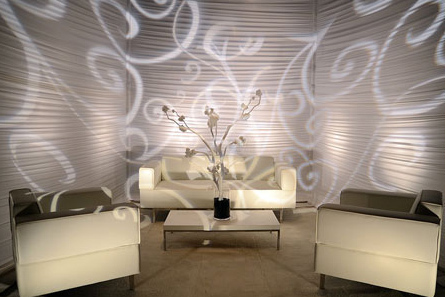 White lounge furniture personalized with blue light for added character. 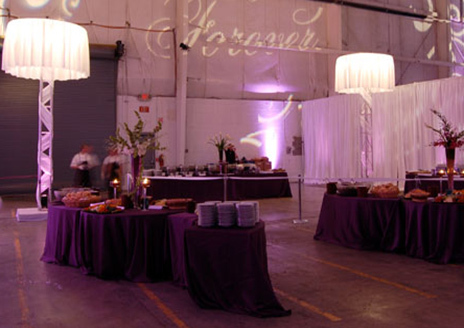 Change the light color and you obtain a new decor idea for your event! 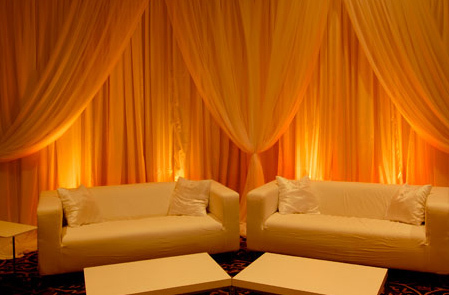 Lounge areas are highly appreciated both in formal and private parties, so make sure you organize such a corner for your guests. 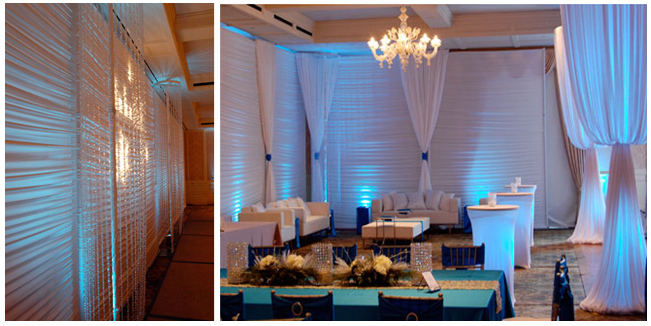 A few benches, low tables, dim light, wall drapes and colored pillows are all you need for such an area. 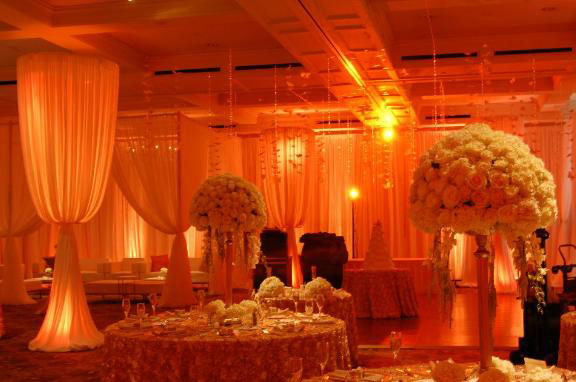 Luxurious wedding decor with pipe draping on walls, lighted draped columns, separate lounge area, beads hanging from the ceiling, dim light, textured linens and spectacular flower arrangements. 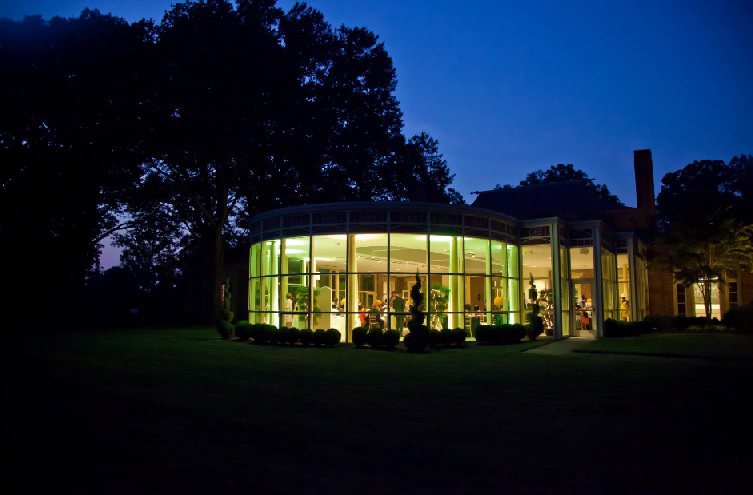 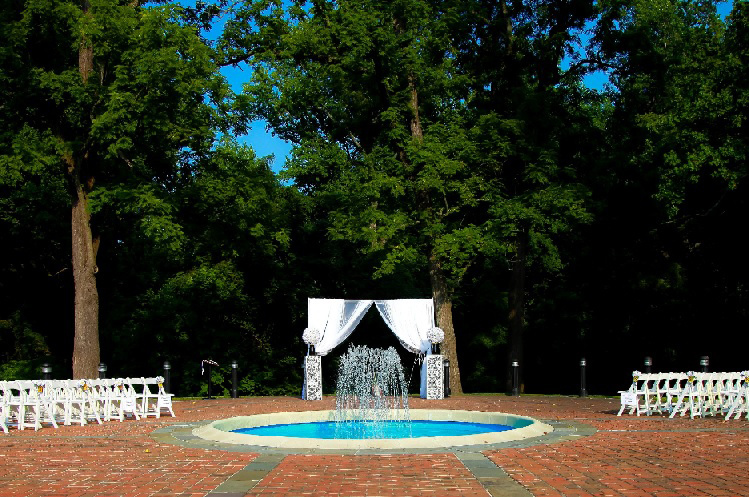 An oasis of tranquility in a loud wedding setting! 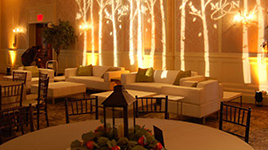 Separated by the rest of the venue by draped walls, this white lounge offers guests a quiet and laid-back place where they can talk and have a drink. 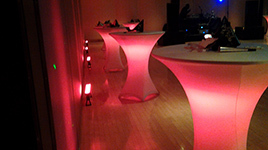 Lighted high cocktail tables (or highboys, elbow tables) are available in 8 different colors for a perfect match with your event decor. 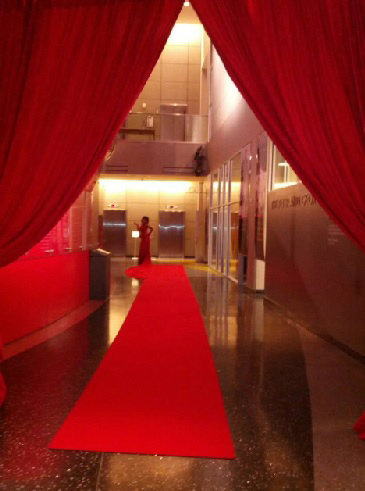 A red carpet with a twist! 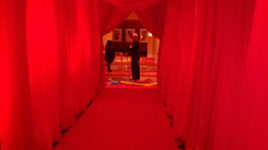 Our Living Red Carpet creates that extra buzz at any party, be it corporate or private! 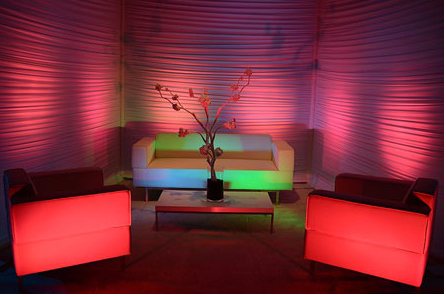 Glow furniture is fun and dramatic. 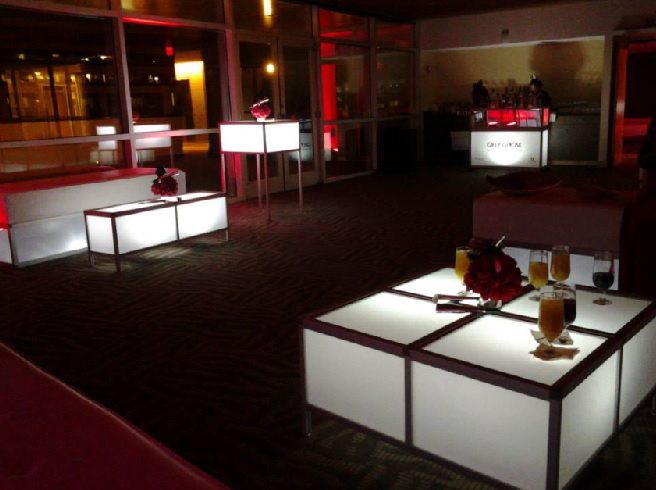 Low LED lighted tables and matching glowing bar are perfect for lounge areas and informal parties, but can also be incorporated in corporate events and wedding decor. 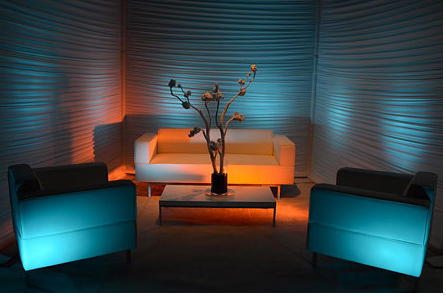 White furniture and carefully placed colored light is all you need for a successful lounge decor. 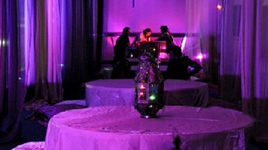 We provide curved and island benches, cube and round ottomans and differently colored lights for any occasion. 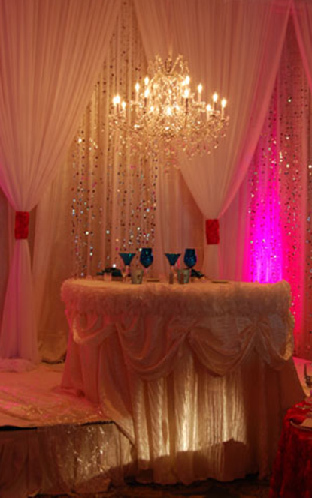 Glow tables are a stunning addition to the lounge area. 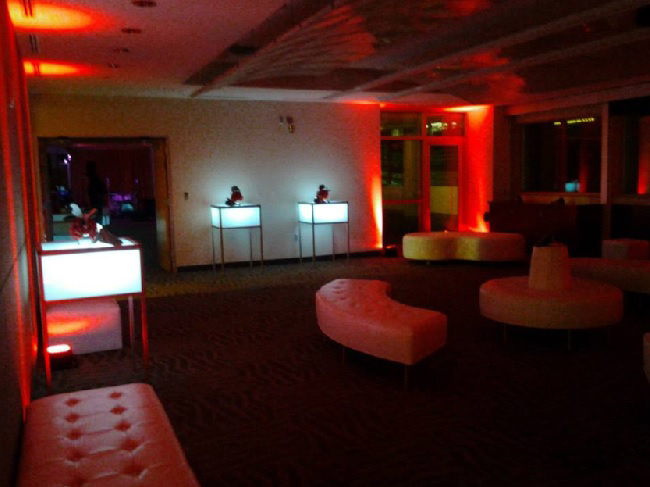 The hold the drinks, discreetly light the venue and pop up in the dark creating a contrastive effect with traditional furniture. 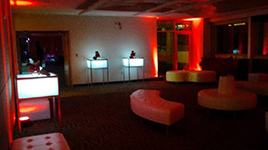 Lounge decor with round benches, curved benches, round otomans, cube otomans, tall glowing tables and red lights. 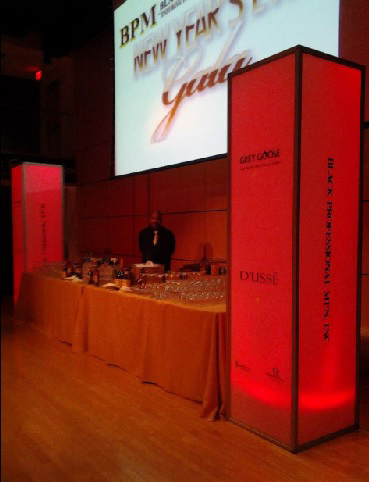 Available in different colors, the glow tall towers can be personalized with your brand name or custom saying to match your event theme. 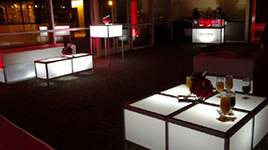 Visible, modern and ultra-chic, the lighted furniture is the latest trend for event planning. 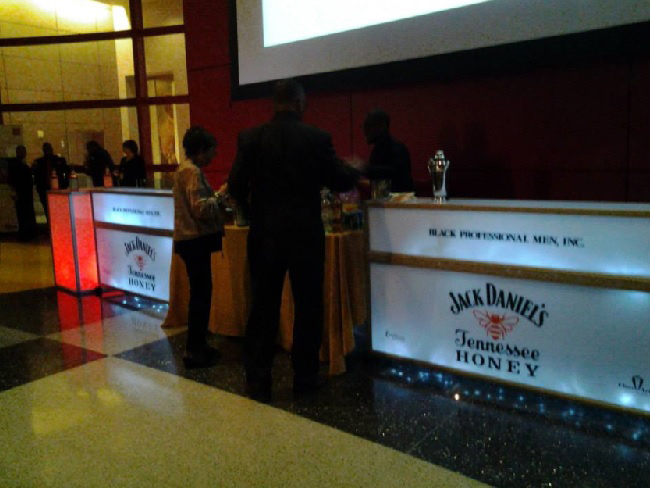 Personalize the glow bar with your brand for more exposure and complement it with brightly colored glow towers for an edgy decor. 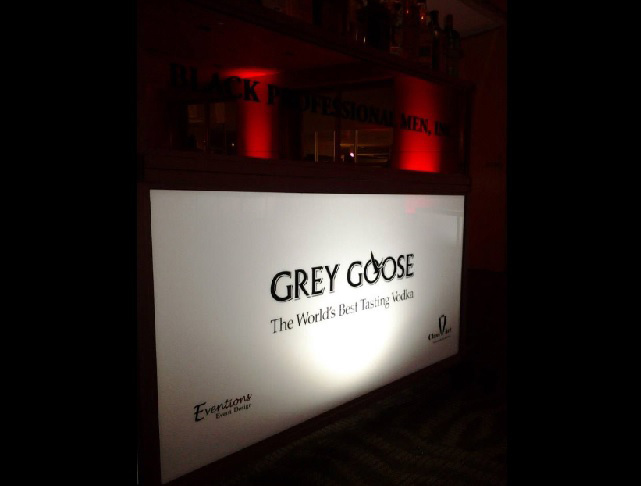 6' portable mirror glow bar which can be personalized with company's brand or any selected message. 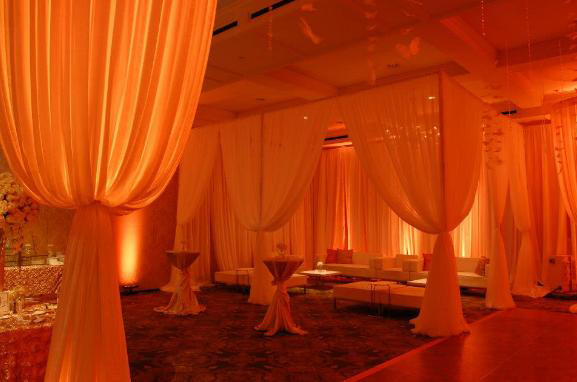 Drape walls help you create intimate spaces and are suitable for all types of events! 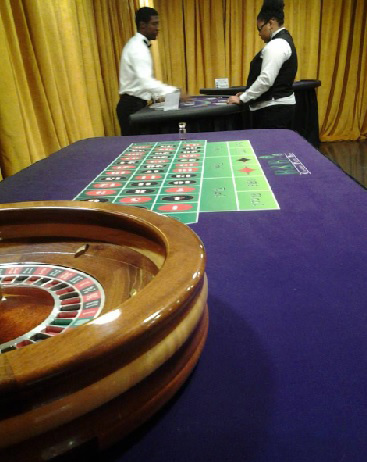 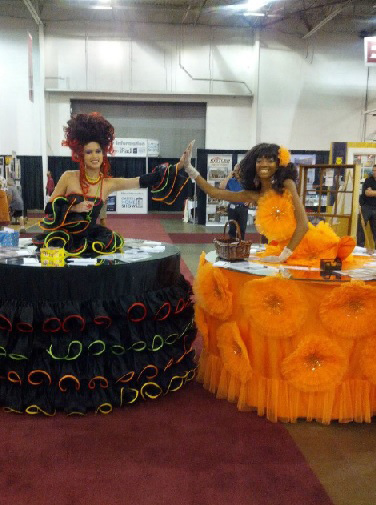 Human strolling tables come in different costumes to fully match the theme of your event. 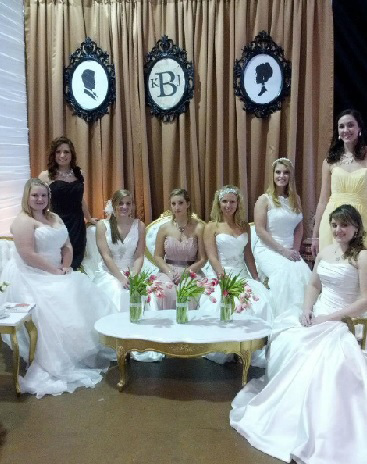 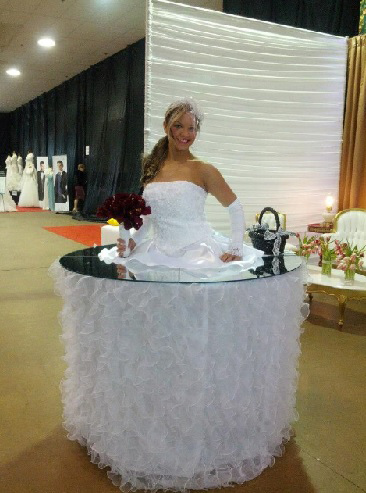 The bride strolling table can be used for wedding expos and other wedding-related events. 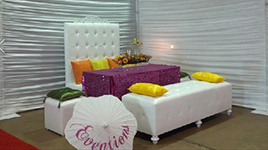 Brightly colored pillows and linens add a fresh touch to the formal white tufted furniture. 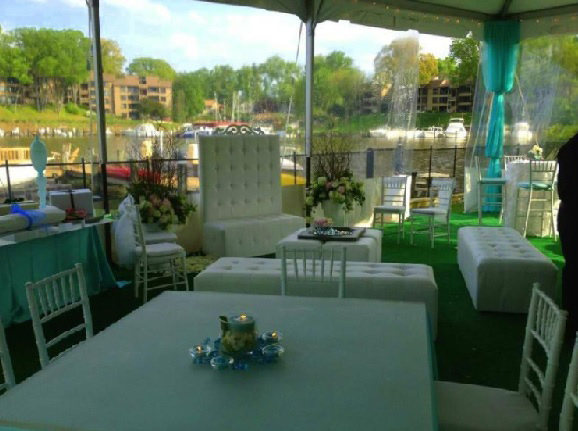 Perfect for summer or summer-themed events. 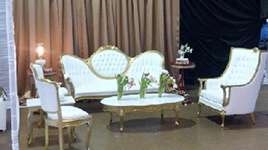 The vintage-style white tufted furniture with gold margins creates a high end decor for your event. 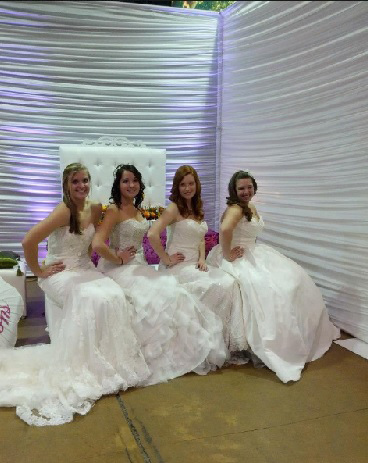 Every bride deserves the wedding of her dreams! 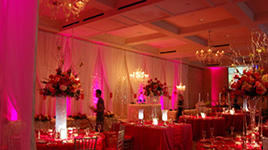 Eventions Event Design listens to your preferences and creates a one-of-a-kind event that exceeds expectations. 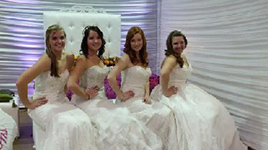 Our brides are always smiling! 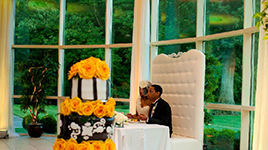 With a personalized approach and attention to detail, we make your dream wedding come true! 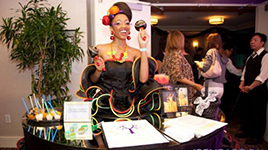 Food and drink serving become more interactive when using a human strolling table. 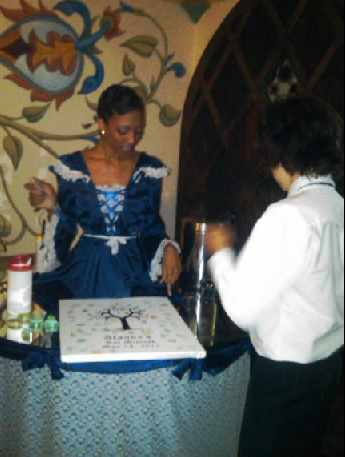 Our professional entertainers are always ready to assist and inform the guests on the menu and activities. 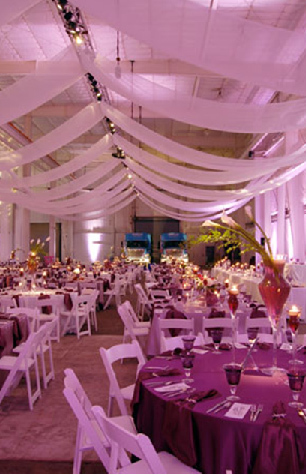 Transform your venue with ceiling and wall draping in different colors and textures. 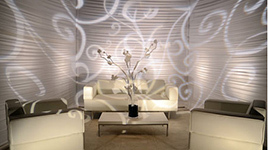 Complete the decor with white lounge furniture for a glam atmosphere. 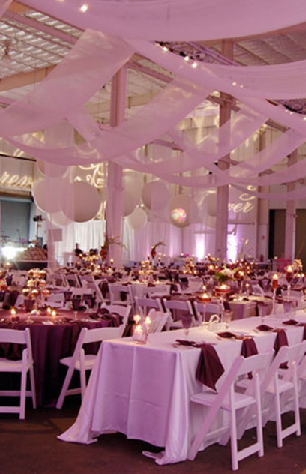 Change the feel of your venue with wall and ceiling drapes in different colors and textures. 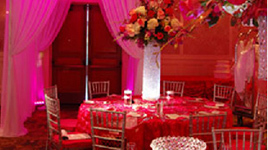 Add matching furniture for a personalized event decor. 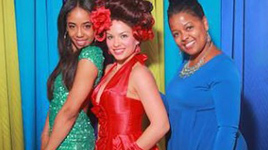 Create a buzz with our glam professional Eventertainers! 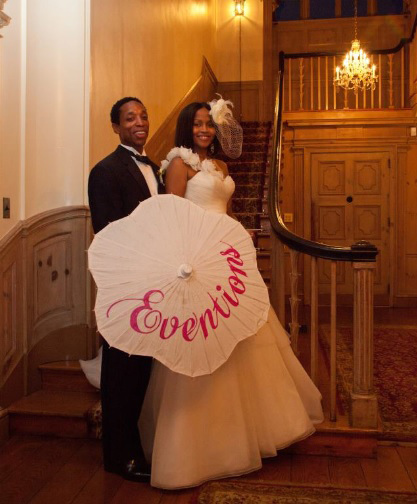 Suitable for all types of events, they will add that touch of elegance you long for! 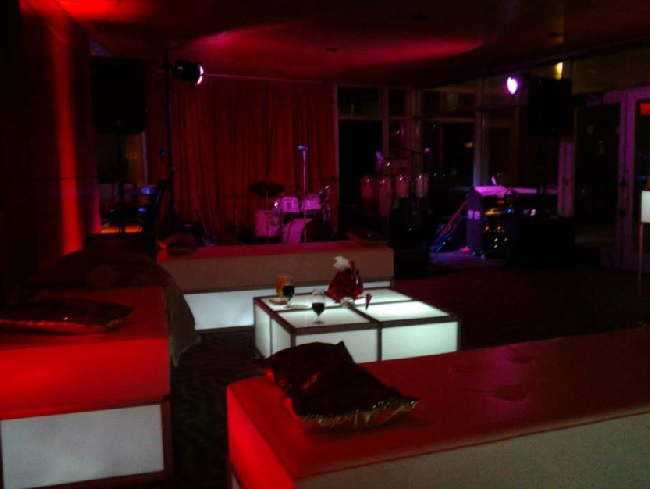 Fun and friendly, our Eventertainers are the perfect choice for your corporate events! 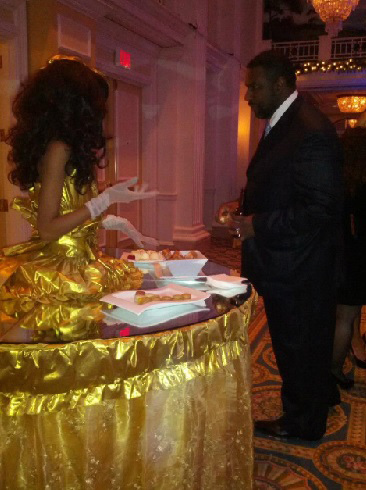 Human strolling tables serve the food and keep guests entertained! 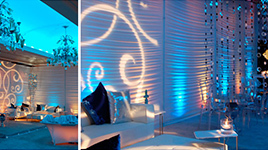 Light up your venue facade for a glam effect! 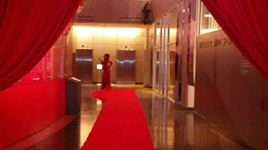 Complete with a red carpet for a Hollywood style atmosphere! 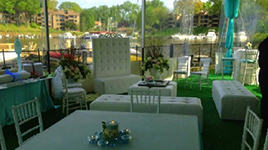 Match white chiavari chairs with white royal chairs and white benches for a comfortable, yet extremely stylish wedding sitting area. 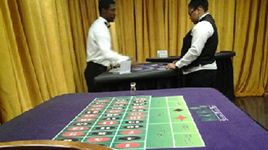 Engage your guests in fun activities that will result in priceless memories for you and your partner! 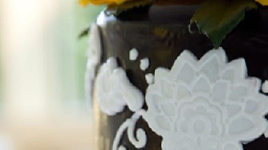 Details make a perfect decor! 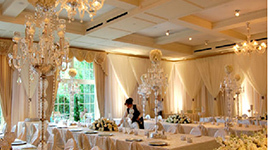 The drapes, the furniture and lights adjusted to each wedding moment create the magic setting for your event! 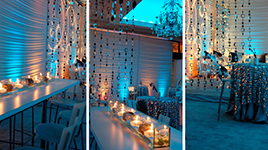 Play with colors and textures for a fun, yet festive decor. 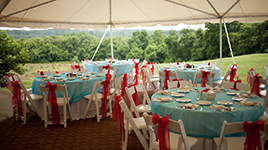 Table linens and chair bows can be easily mixed and matched to follow the event's theme. 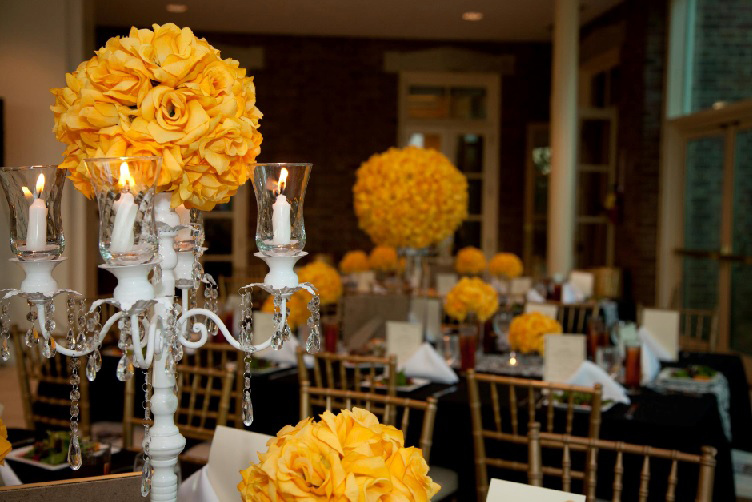 Small decorative items can change the entire venue aspect! 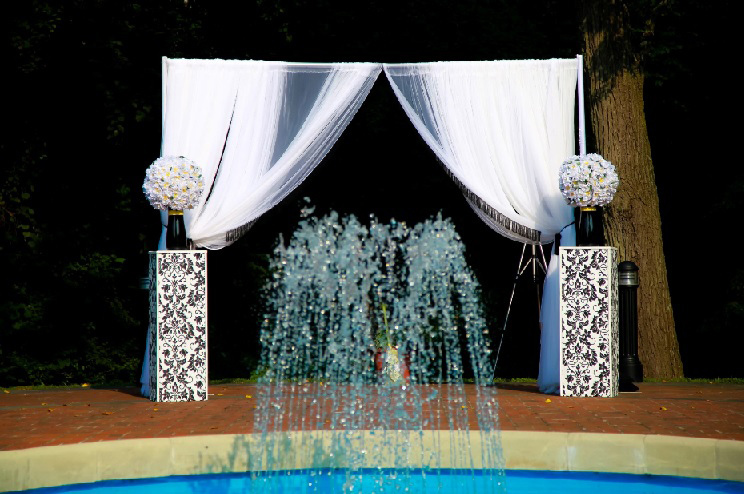 Place discreet ornaments outdoors for a delicate embellishment which complements natural beauty. 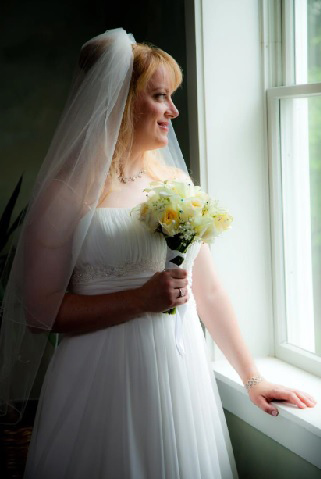 Relaxed brides are happy and beautiful! 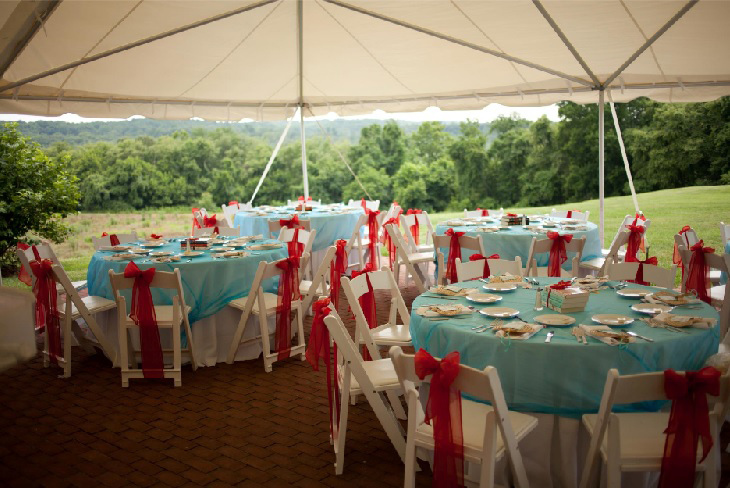 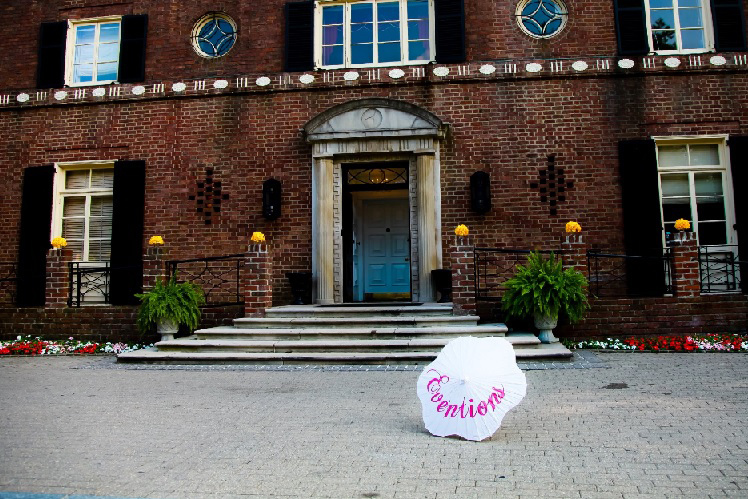 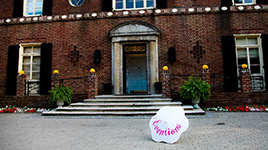 Hire Eventions Event Designs for a stress-free wedding that exceeds your expectations! 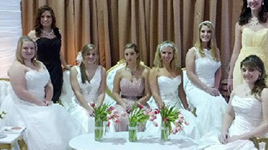 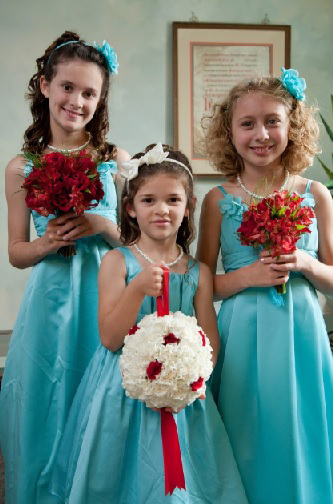 The flower girls and bride's maid are the first thing your guests see walking on the aisle, so it is essential that their looks match the wedding theme. 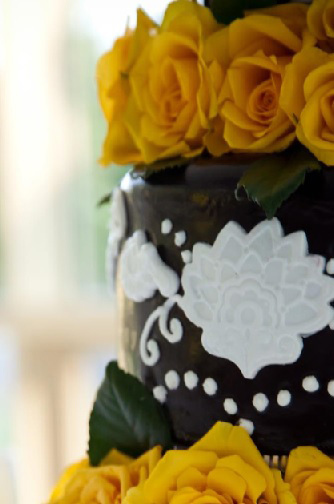 Surprise your guests with a non-conventional greeting! 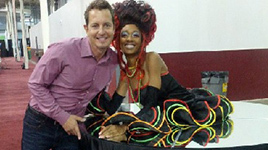 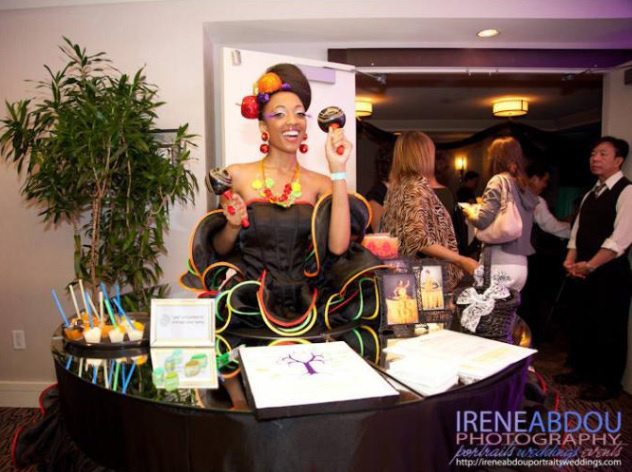 Our Freeform Greeters are the latest trend in corporate and personal events! 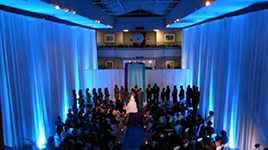 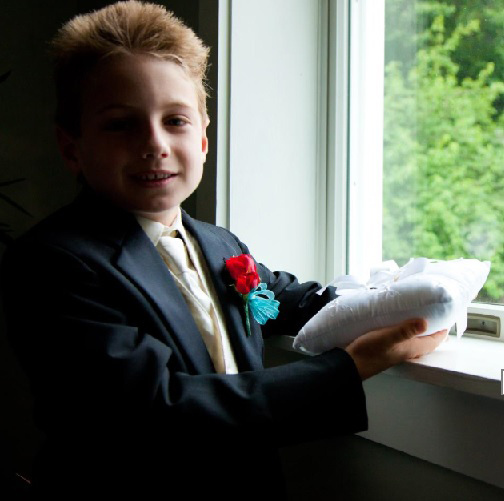 Your wedding bands travel in style on the soft little pillow especially designed for this event! 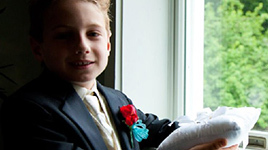 The cute little bear will add even more charm to the moment! 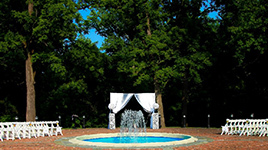 Every location can become a stunning place for a wedding ceremony. 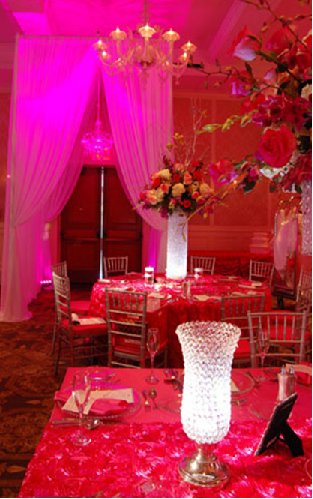 We personalize indoor and outdoor spaces with drapes, chairs and flowers. 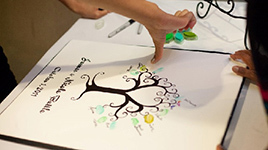 Our creativity has no limits! 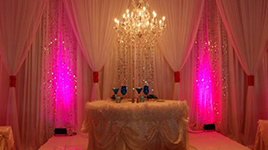 Visit us for a consultation and we will set the event theme and details! 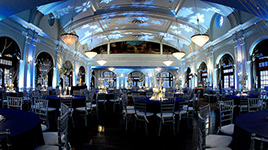 Each venue is unique and so it is your event. 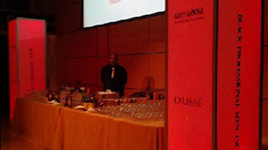 This is why a personalized approach is required for a successful event. 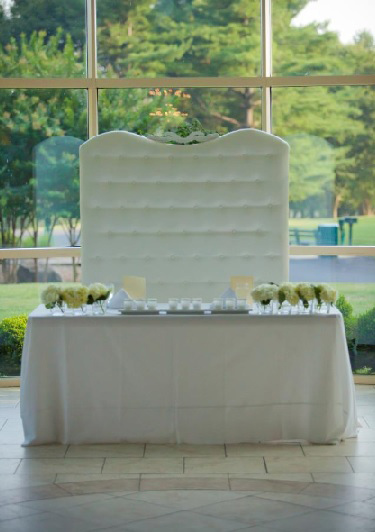 Available in white color with sparkling diamond adornment, the Royal Bench adds a glam touch to the venue. 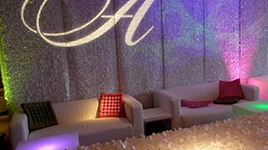 The newly weds will start their married life in style! 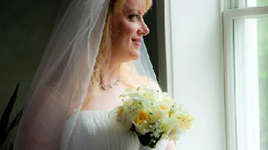 We are happy when our clients are happy, so expect nothing but the best from our team! 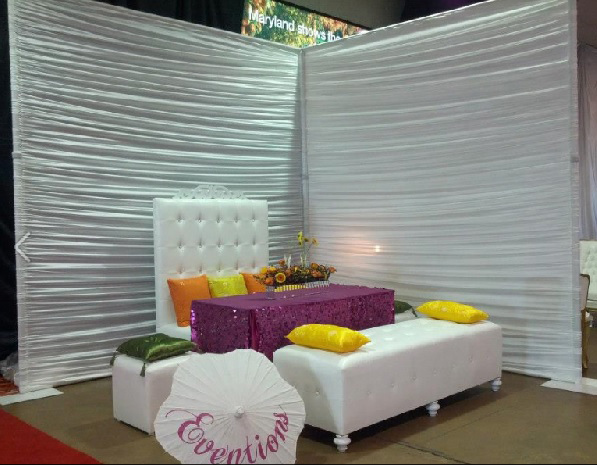 With Eventions Event Designs there is no room for compromise! 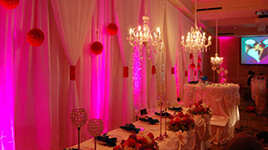 Candle-lit chandeliers adorned with crystals and flower arrangements create a glam setting for your event. 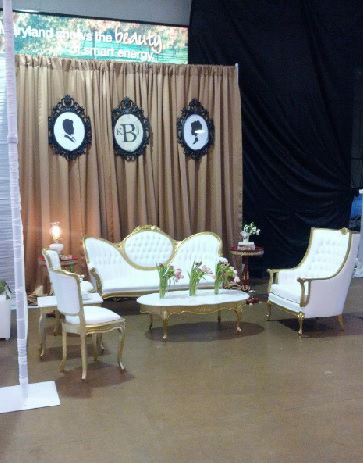 Match them with gold chiavary chairs for added luxury. 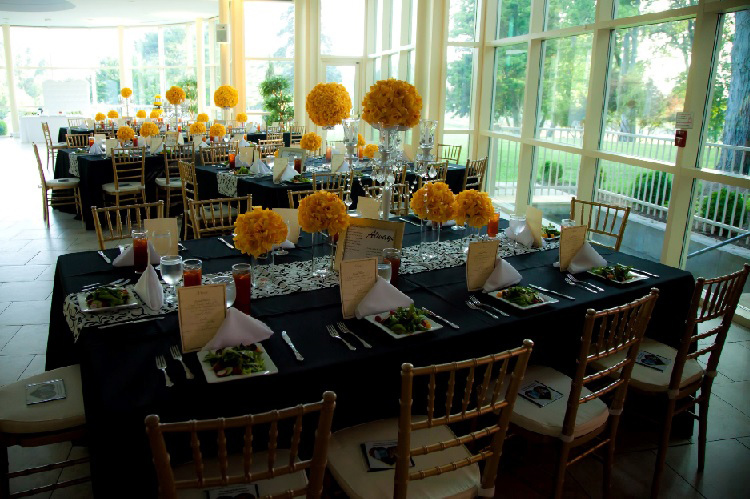 Create a contrastive event decor with black table linen and gold chiavari chairs. 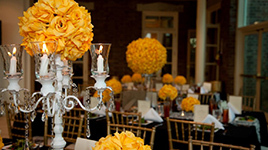 White or ivory plates and bright yellow flowers complement the decor perfectly. 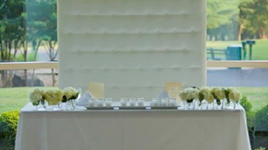 The royal bench combined with white linens and delicate white flowers is a chic choice for the newly weds table. 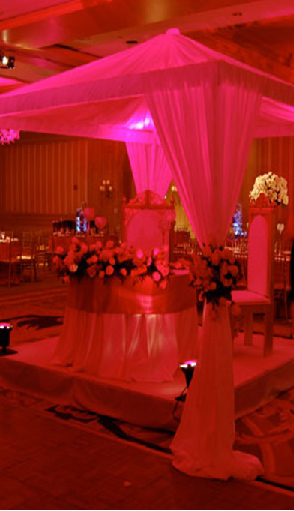 We plan your wedding in detail and give equal attention to all aspects so that your special day is magic! 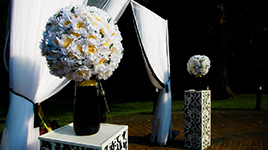 Spectacular event entrance with white drapes embellished with black fringes and complementary black and white columns accessorized with flowers. 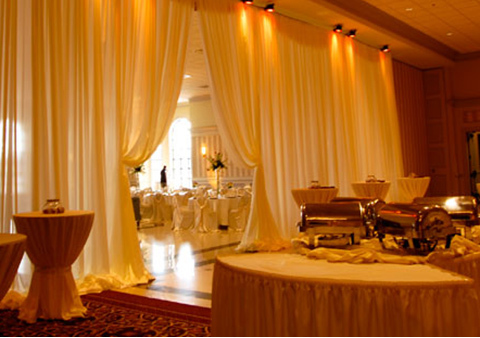 Drapes are a convenient way to divide spaces, so you can use them to mark the entry in your venue. 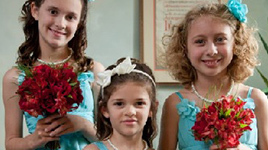 Accessorize them with fringes and sparkling beads for added glam. 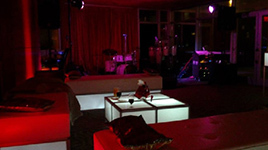 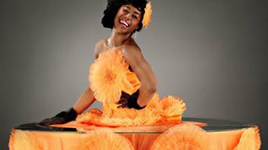 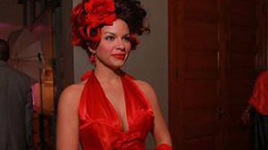 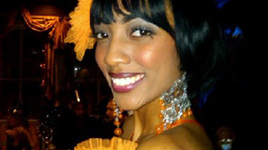 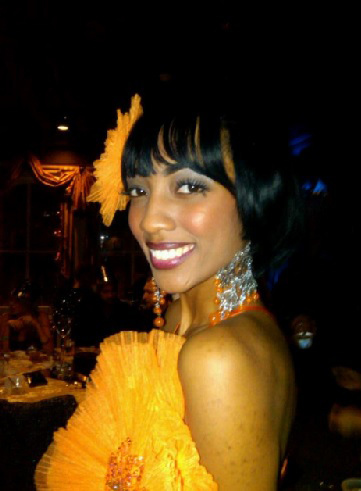 Our professional event entertainers spice up the atmosphere at corporate or private events. 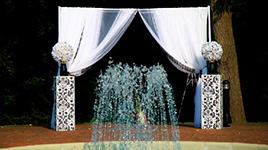 Place them at entries for a warm greeting or let them move around to entertain your guests. 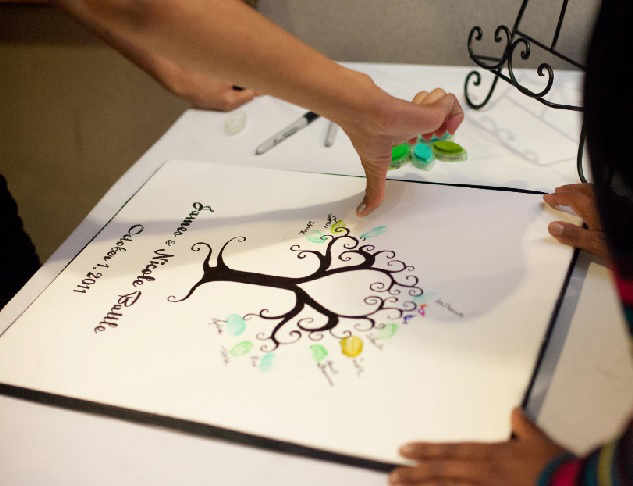 Living tables can be used for serving food and drinks, as well as for different activities, such as filling in the thumbprint tree or signing the guestbook. 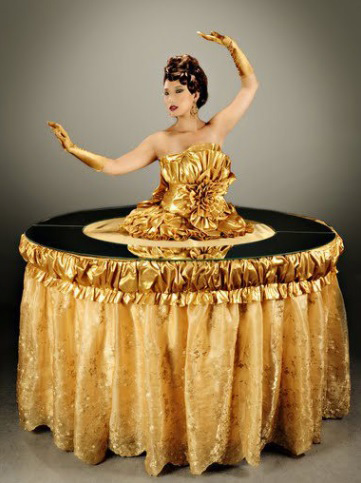 A spectacular appearance, the gold human strolling table can be placed at the venue entrance, to serve drinks and appetizers, can be used for activities or for food serving at certain moments during the party. 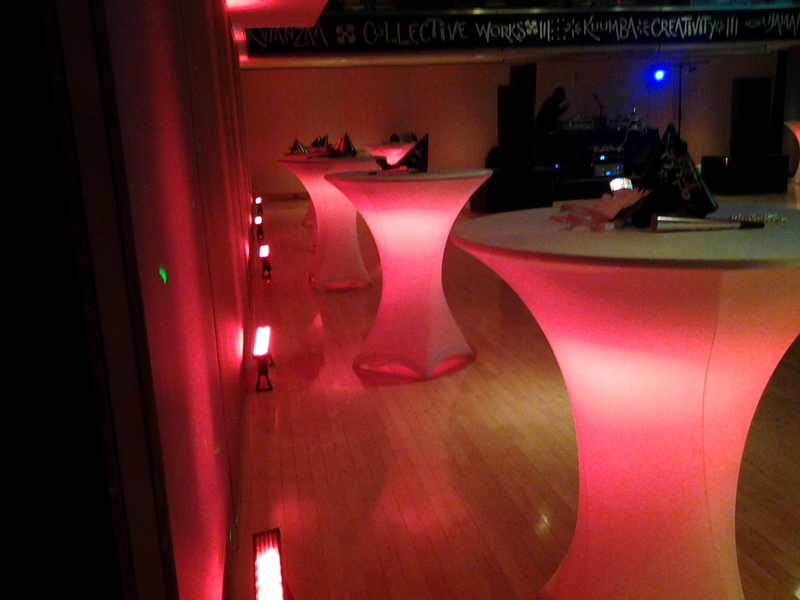 Our human strolling tables come in different colors and designs to fully match your event design. 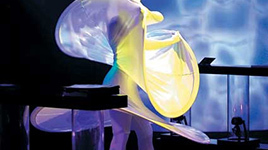 Wearing a smile on their faces and a dramatic costume on their body, our human strolling tables are always a good idea! 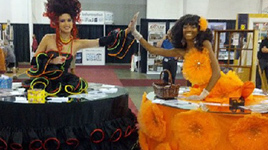 Multiple human strolling tables are recommended for large venues or numerous events. 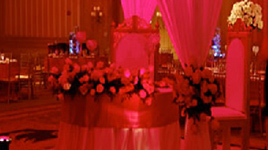 We offer a varied selection of costumes and table decors to match your party or event theme. 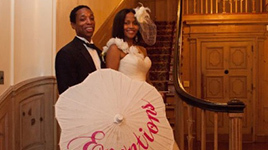 This carnival-inspired strolling table presented by our fun and bubbly entertainers will certainly create a buzz among your guests. 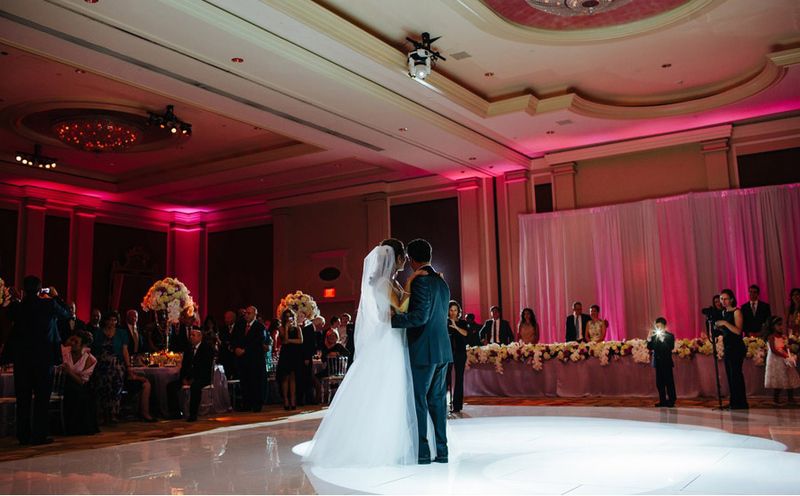 The spotlights should always be on the newly wed couple! 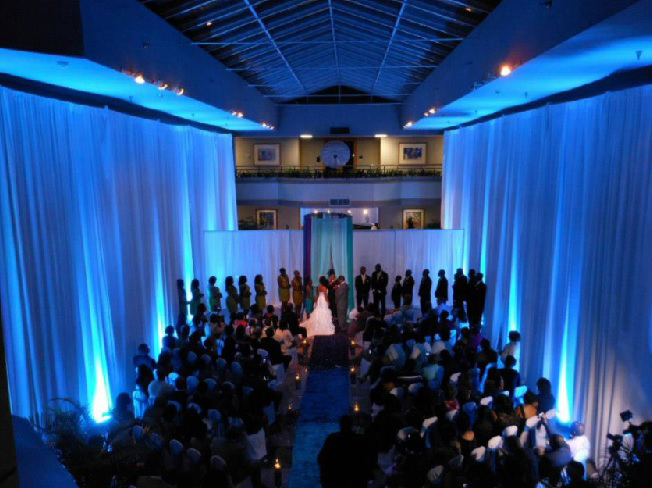 We did that literally, by orienting all spot lights in the ceremony area, while the rest of the venue was dimly lighted in a warm blue light. 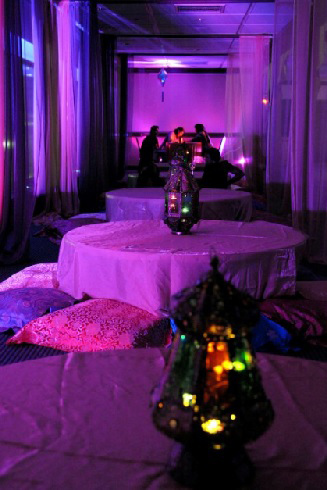 Colored pillows set directly on the floor around low lounge tables create a lavish Oriental-inspired decor, perfect for magical nights. 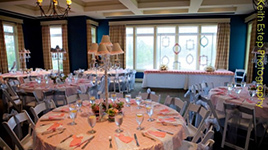 The white and salmon table linens and white chairs create a romantic, vintage-style wedding decor. 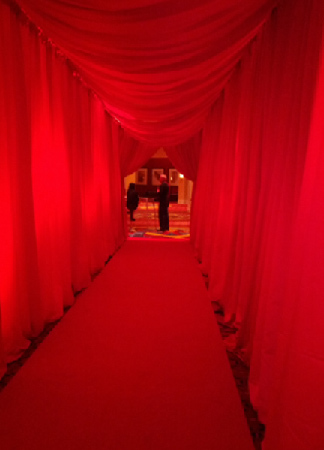 The Living Red Carpet is a 2 in 1 solution: a glam red carpet for your guests to feel super-important and a professional entertainer, dressed up in a dramatic costume, who greets your guests for a long-lasting impression! 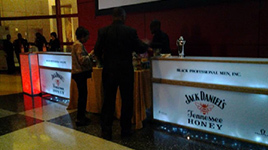 Human strolling tables can be used for serving drinks during your event. 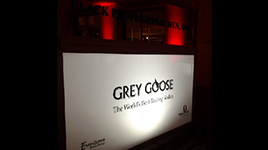 The human assistance will make the experience even more pleasant! 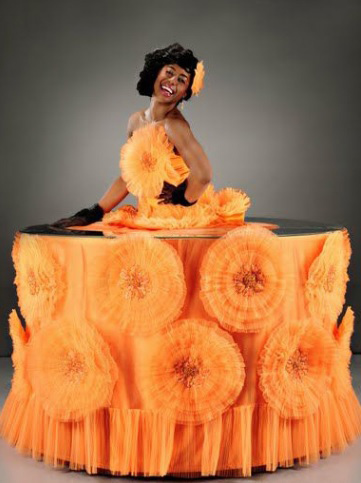 Our exuberant professional entertainers know how to get your guests in the mood for partying! 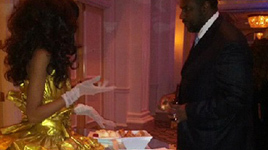 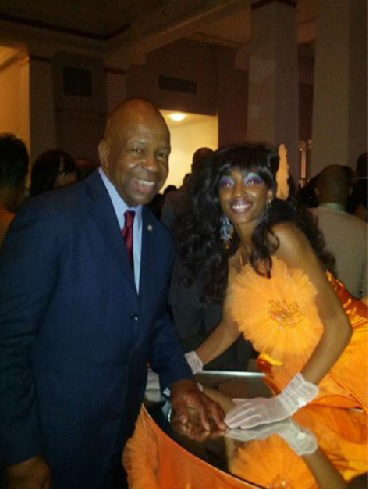 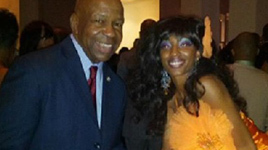 This living red carpet entertainer is always ready for some fun! 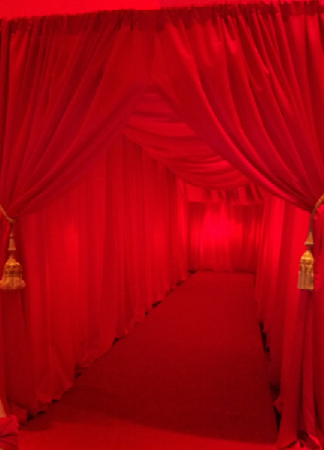 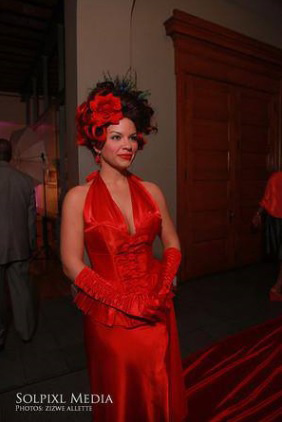 Elegant and mysterious, our Living red carpet entertainers welcome your guests in style! 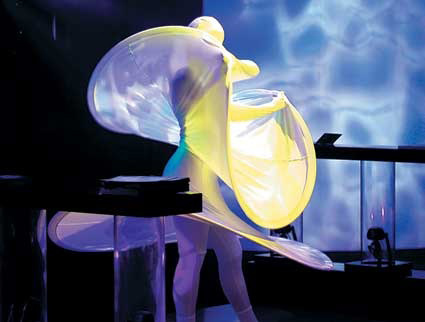 An unique experience that everyone will remember! 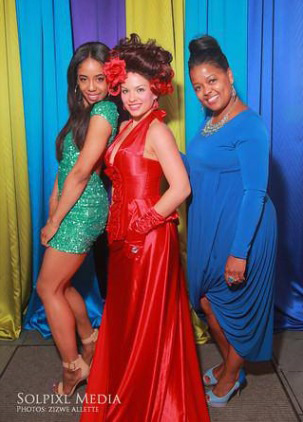 Guests love walking on the red carpet and taking photos with our professional Living Red Carpet entertainers!